A method of bending in which the ductility of the tubing material is increased by heating it either before placement on the machine or in-process. Usually in-process heating of the material is done indirectly; heating elements are fixtured in the tools and so the material is heated by conduction through the tools. 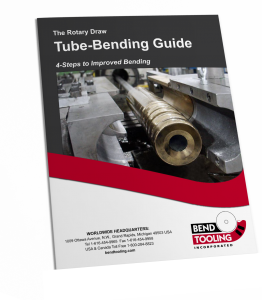 Few bending applications benefit from hot bending; even titanium is bent cold today more often than hot.